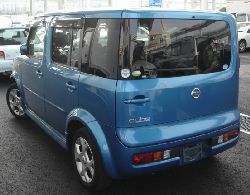 Nissan Cube For Sale UK Registered direct from Japan by Algys Autos Ltd, THE Best Value in the UK. FACT. Your search for the best quality and prices starts and ends here! All available via our unique ‘Import Scheme’. 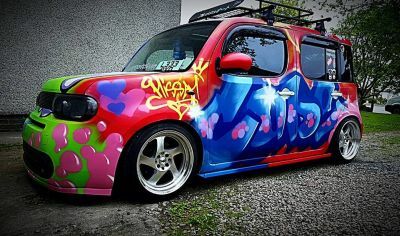 Nissan Cube For Sale in the UK Via Algys Autos. 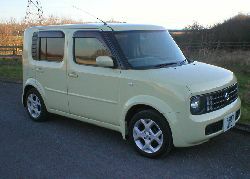 The Nissan Cube and Nissan Cubic are mini MPV produced by Nissan and sold in the Japanese marketplace, this funky little mpv is now available for sale in the UK! This extremely compact and economical vehicle is a massive hit with the Japanese youth and trend-setters in the Far East, the Cube it is the ‘must-have’ automotive style accessory. The car was announced in the Japanese press after the Annual Motor show as ‘The car that swallowed Tokyo’. 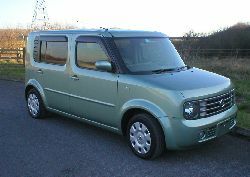 The good news is that the Nissan Cube & Nissan Cubic at long last are available in the UK and they are being snapped-up by the equally trendy young Brits! Nissan UK after a few years decided to produce the Cube in the UK and satisfy the demand for this funky car. these cars became available in the UK, thats the Good News. The not so Good? Prices started at about £15,000 and the Cubic was not available! Update: * The latest news was of course Nissan UK have now stopped production as the belief is they simply could not compete with the Japan version in terms of specification, build quality and price. So if you want a good one, it needs to come from Japan and WE are the Importers/suppliers. Algys Autos have over 50 available for sale held in our Japan stock ready to be imported and supplied UK registered, email us tell us what your requirements are and budget, let us try to match you with the best value Nissan Cube or Cubic for your money now. Simple, we import fresh stock direct from our Japan garages NOT from very inferior UK auctions or from Nissan Cube circulating for sale within the UK. Most UK traders buy from the used UK market, generally these cars are tired and have been subjected to the cruel and harsh winter roads and conditions. Ask to see the Japanese auction sheet and proof they imported it from Japan…..if they can’t or won’t provide it, turn around, walk away and come to the experts. Algys Autos is NOT a garage, we are the UK Importer and Supplier, we can supply the Trade or private Customers, the Nissan Cube or Cubic is delivered to you in the UK fully UK registered with V5 and Mot as if you purchaased from the garge BUT at import prices which saves your BIG $! Compare our prices and you will recognise that Algys Autos is, without doubt, the best ‘Value for Money’ in the UK, You will note that the prices offered ‘Import Scheme’. The Import Scheme was a brain-child of Algys Autos over 20 years ago and many have tried to copy it with little success. The other traders even refer to the idea as the Import Scheme (conveniently dropping the ‘Algys Autos’ of course). The Import Scheme is where Algys Autos allows you to bring the selected vehicle into the UK as a ‘Private Importation’ and thus saves £1000’s. We buy any model to your detailed requirements under this scheme via our Garages in Japan. We are the UK premiere importer and supplier and represent over 600 garages in Japan! Our UK garage at Bristol offer full facilities and your car can be delivered to your door via transporter. For full details click the link ‘Import Scheme’ link above.These prices represent un-surpassable quality and value for money. Algys Autos Ltd are suppliers of all models to the trade, you too now have the opportunity to purchase at Japan trade prices! We consistently offer the very best possible UK prices available, FACT! 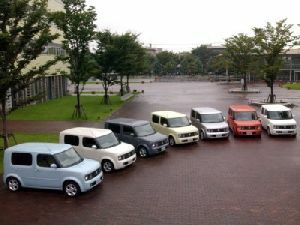 Nissan Cube For Sale. The first generation of the Cube (designated Z10) was introduced in 1998. It shared the same platform as the Nissan Micra (known as the Nissan March in Japan), as well as the same 1.3 L engine. A CVT and 4 wheel drive were optional. The Cube covered the gap in the Nissan lineup between the March and the Sunny. 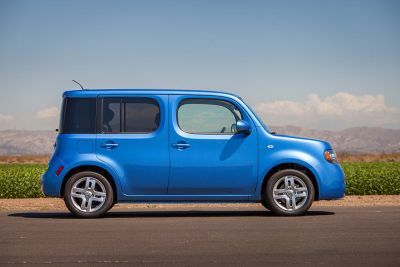 The second generation of the Nissan Cube which was released in 2002 with a more spacious interior and a modern combination of angled and curved surfaces, was based on the third generation of the March, powered by a 1.4 L engine. 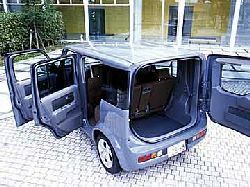 A CVT was optional once again, and was made available in a stretched wheelbase version with seven seats, called the Nissan Cubic. From Jan 2006 the model received a boost in power and adopted the lively 1.5 litre engine. Both the versions are capable of a 115mph top speed and a 13-second 0-60mph sprint, the Cube boasts a huge and versatile cabin. The front bench includes a large central armrest hiding two stowage bins. 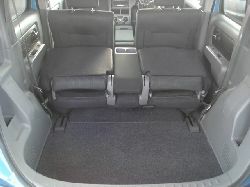 Driver and passenger seats can be adjusted independently and both offer lots of head and legroom. 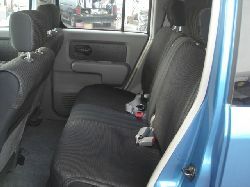 There is an extra shelf in the dash, and more storage space under the chairs. 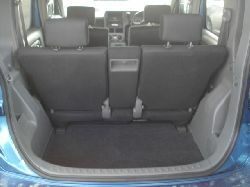 The rear seats accommodate two adults, and can slide back and forward or be individually folded. On the road, the Cube’s glass area offers great visibility. A tight turning circle and short overhangs make town driving a doddle. Reverse parking is aided by the extended glass area on the left-hand side, the load space itself is very impressive. 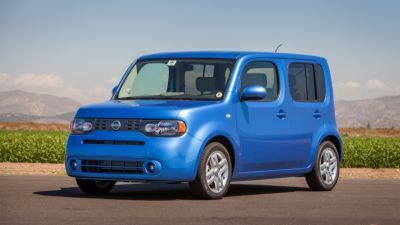 The ‘stretched’ version has 7 seats ( 3 rows) and was launched at the Tokyo Motor Show and is amusingly named the Nissan Cube3 (Nissan Cube Cubic) – it’s basically been stretched by an extra 170mm with three rows of seating instead of two. It’s such a characterful little thing to look at, more pugnacious than cute, which is crucial because blokes won’t feel weedy and foolish behind the wheel. Climb aboard and be amazed at the space in the Nissan Cubic. With such upright body sides and that tall roofline – it is as tall as a Vauxhall Zafira – the cabin feels very airy and spacious, with loads of head, leg and shoulder room. It’s also a fun interior, and the column shift is quite neat to use. There’s plenty of storage, and the second and third row of seats can be manipulated MPV-style for any combination of occupants and luggage. That asymmetric tailgate, which looks quite cool, opens sideways to reveal the luggage space – the rear seats can slide forward to liberate more space. Nissan says that seven adults can squeeze onboard – that would be tight, but just about achievable. Five up is a reasonably comfortable proposition. Send us an Email Now with your requirements and get the latest Email list of all that matches now from Japan. All our Cube’s are supplied fully UK Registered of course! Stock changes DAILY, Continuous there is a continuous availability of both Nissan Cube and Cubic versions, email us from here. 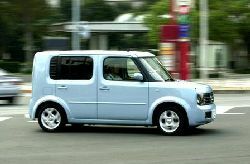 The later edition Nissan Cube with 1500cc Engine. The model shown is a limited edition ‘Conran’ with red Leather Interior. Prices from about £4495 OTR UK. 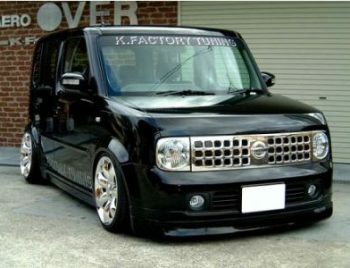 We also import and supply the Nissan Cube Rider autech editions! 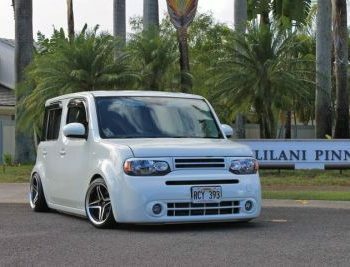 Nissan Cube & Cubic For Sale. 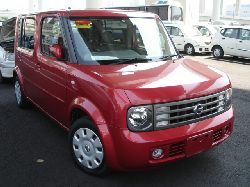 Algys Autos can import and supply ANY Nissan Cube or Cubic you want – direct from Japan to your door! 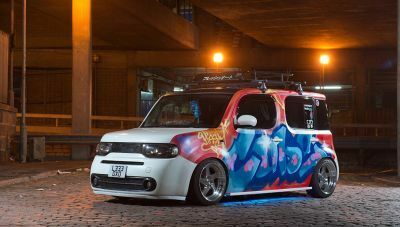 Take your Funky Nissan Cube and customised it – there are NO Limits! Nissan Cube For Sale. 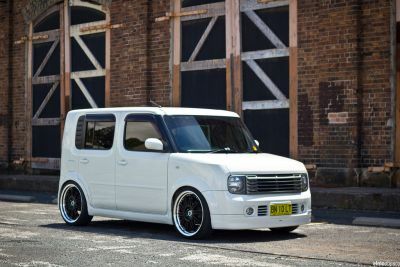 Import a Nissan Cube via the Import Scheme, customise it and live a little! 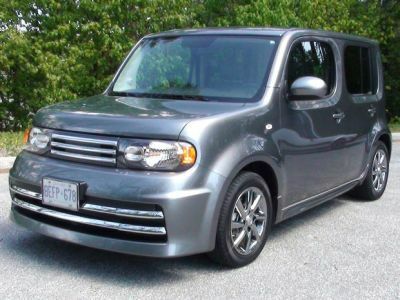 Nissan Cube For Sale.The Nissan Cube: Superb quality, fully airconditioned, full electric packs, luxury design and extremly ‘funky’ little mpv. Jeremy Clarkson asked on Top Gear, ” Why aren’t these little cars sold in the UK?” Well now they are and you can get one at the best possible price Via Algys Autos Ltd. 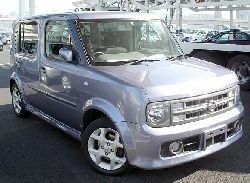 Your search for a quality Nissan Cube for sale has ended, Call or email now!! Algys Autos Ltd is by FAR the best UK value available!! How? We have full Japan facilities, full Import Infrastructure and supply Fully UK registered at cost prices + a simple £350 commission fee. So NO middle-men. It really is that SIMPLE. Try asking a UK dealer how much profit he’s made on a car! IF you still need convincing check out our current stock list via email. No obligation, just email us tell us an idea of spec and see the prices – WE supply them so they can’t be cheaper! Not difficult is it. And then get a grip on yourself and call or email, ask to be put on the daily email list.